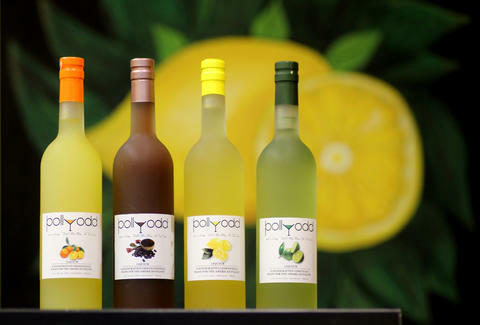 From a South Philly native who's the first woman in the US to hold a distiller's license since 1920 (back when men were men, and women were occasionally allowed to speak at public meetings), Pollyodd is PA's first and only distillery-run state store, now sampling and brown-bagging seasonally flavored bottles of family recipe limoncello. The EPass outlet's modeled after old school, state-run booze shops with an empty buzzer-entry parlor featuring a high-counter cash register guarding a locked-door stash room marked "Locked-Door Stash Room" "Employees Only". 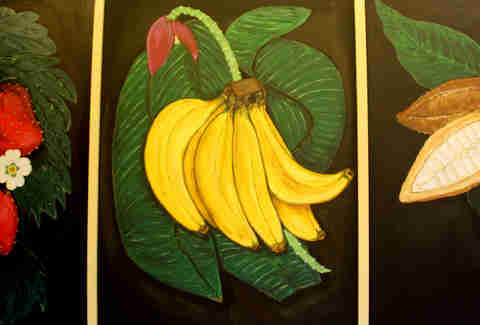 These massive chalk drawings of slightly aroused bananas line the walls and hint at the available flavors -- they're redrawn and erased with the introduction of new offerings like Florida Orange, Dark Chocolate, and Hawaiian Coffee. 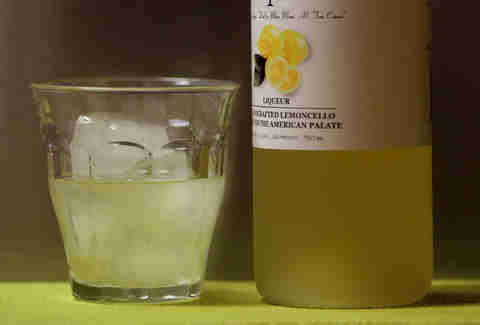 Want to try some? Just get buzzed (!) in on Sat afternoons when the owner'll be pouring straight shots and cocktails in every flavor, letting customers consume the maximum amount of samples allowed by silly alcohol laws everyone still has to suffer...age through.